Why choose us to solve your storage problems? We are a genuine established family business with a friendly but totally professional service committed to complete customer satisfaction. We offer the most competitive rates for self storage around and we offer you real flexibility. So sit back and relax safe in the knowledge that Belper Self Storage will be keeping an eye on your things. The cost will depend on how much space and how long you decide to store your items for. Give us a rough idea and we will give you an instant quote. If you don't you know how much space you will need give us a call on 01773 829456 or call in and we will be happy to help you through the process. Simple, honest pricing - The price we quote is the price you pay. No idea how much space or room size you may need? - No problem, just give us a call. 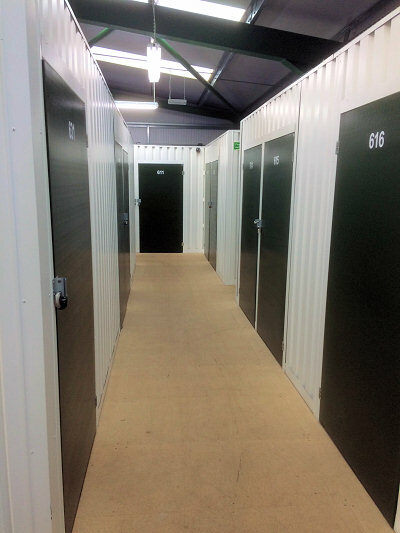 We will discuss with you your storage requirements and then be able to estimate the size of room you may require. Also, if you do need to hire a van or book removals, this can all be taken care of in one easy phone call. Insurance is optional. You may be covered on your home policy. If not, you can insure your possessions through us for just £3 per £1000 cover per month. How do I get my possessions into Store? You can bring your goods into store using you own transport, alternatively we have our own in-house Removals or Self Drive Van Hire available to make your move into store go as smoothly as possible. Self Storage is the solution to any storage problems from sofas to beds, from documents to desks we can offer secure storage rooms from 25sq ft upwards. Premises are fully protected by 24hr CCTV and Redcare Alarm System. Live Animals, foodstuffs, corrosive or flammable liquids, explosives, bottled gas, petrol or illegal substances.